Sometimes things have to get worse before life can get better. Charlie Clarke and Lucy Kendall are both at low points in their lives. Charlie finds himself behind bars for another man's crime and reluctantly agrees to work for his father as a way of creating a new start. Lucy returns from Europe to find her father gravely ill and his candy business, City Confectionery, near closure. Determined to create a new candy that will trump Royal Taffy, the candy recipe that was stolen from her father by the owner of Standard Manufacturing, Lucy's endeavors put her directly at odds with Charlie, the new promotions manager at Standard Manufacturing and son of the recipe thief. Any attraction and relationship between two people from such opposing stances seems impossible; yet, Lucy and Charlie find themselves drawn to each other over and over again. Read more in Unrivaled by Siri Mitchell. I enjoyed reading Unrivaled by Siri Mitchell. The chapters alternated between Lucy's and Charlie's points-of-view (pov) and, contrary to my expectation, Charlie's pov was actually my favorite. Lucy's immaturity was annoying at times – Charlie probably thought the same thing about her quite often – but the character growth that she experienced soothed the irritation. The story line was intriguing and I liked reading about the actual candy-making process. I'm not sure if there is a sequel planned, but I did feel like there were a few open ends that weren't fully resolved. In spite of that, I found the ending to be a sweet treat and I do recommend this book to anyone looking for a clean, sweet romance. 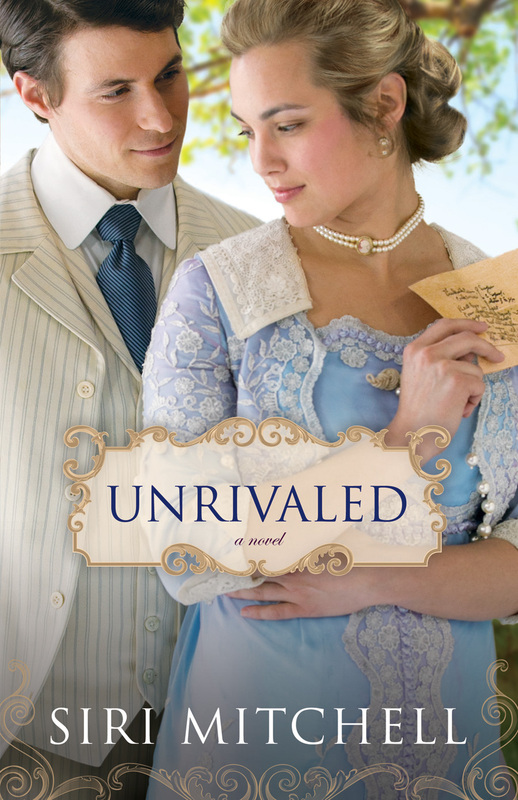 Read an excerpt from Unrivaled by Siri Mitchell on the publisher's website. A Nobel Groom = An Awesome Read!